Official Trailer For DARKNESS VISIBLE Is Within! 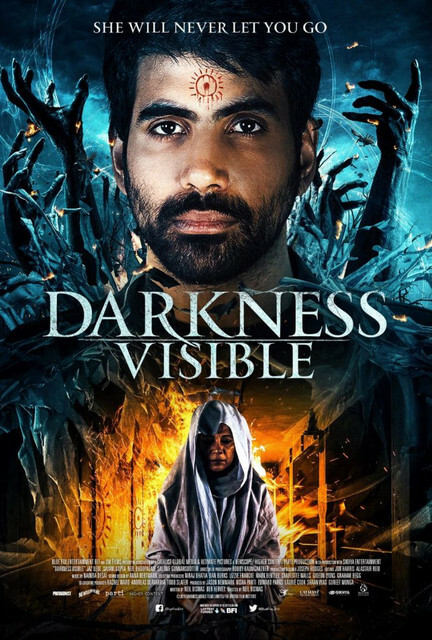 Get ready for an intense level of Horror in writer/director Neil Biswas' upcoming film titled DARKNESS VISIBLE. The movie deals with a man traveling a great distance in search for answers pertaining his mother, and he soon finds that he has gotten into something much deeper than he realized. Head on down below to have a look at the trailer. DARKNESS VISIBLE stars Jaz Deol, Sayani Gupta, Neil Bhoopalam, Salóme R. Gunnarsdóttir, and Seema Biswas. "London-raised Ronnie embarks on a journey to India after his mother goes missing and mysteriously ends up there in a Kolkata hospital. Before Ronnie can unravel the mystery of what brought his mother back to her homeland, she dies in what appears to be a ritual killing. As he uncovers a series of similar murders from the past, Ronnie's own inner-darkness comes to light as all roads lead to the feared witch of Kolkata’s insane asylum." DARKNESS VISIBLE comes to theaters and on VOD February 8th.